IT Academy Updates: Film Beginnings: Viewing "Nosferatu"
Film Beginnings was a Choice Session where I, Tony Sanchez, go over the humble beginnings of film-making. We go over significant advances in film-making technology from the late 1800s to the early 1900s. Students get to watch clips of mostly short silent films, like the first video below, and some early "talkies," like the second video below. Hollywood and movie theater history were also addressed in Film Beginnings. The students got the chance to view a film from the era which they've learned about, the 1922 horror classic, Nosferatu. This film fits in perfectly for this choice session at the end of October, because it is the very first incarnation of Dracula in a motion picture, ever. And, it's a silent film from the 1920's! Halloween. Nosferatu. Silent films. Two classes... It was a good Saturday! After watching the film, we had discussions that spanned a bunch of topics. We tackled questions such as, why would this be a scary film for the time? What has changed since this film was made, and what seems to be the same in Hollywood? And, students finished off the day with writing a blog entry about what they learned and what they make of all this. We all talked about how we like to watch this type of film, but that it certainly can bring about sleepiness. We felt it too bad that our current culture is all about fast-moving films that focus more on special FX rather than straight-up acting talent. It was also pointed out that most of us only encounter older films in the classroom, rather than at home, or in the theaters. The Film Beginnings Saturday double-header started out with the sleepy freshmen and juniors. Though groggy and silent, they showed that they were interested by being attentive. They also asked great questions during the lecture. Nosferatu racked up half the class, but was worth every minute. The post-screening discussion was riveting. There was a mixed response to the film, but in the end, students appreciated its importance. Carrie brought up Nosferatu's ears, Jon made good observations about some of the effects and techniques that were used in the film. Everyone was riffing off each other and holding an intriguing discussion. Arissa was the only one who dozed off for a few minutes during the film. The sophomores and seniors were in class the second half of the day. Their attentiveness during lecture was not as high as the morning class, but they were picking up on most of the same points (similar questions on similar material). Nosferatu was widely accepted by the students, but they were more on the negative side. I heard Thuy Dan say "wow, that was a LONG movie!" but really it was only an hour and a half long... There were a bunch of late arrivals today, due to many Seniors taking the ACT in the morning, but the discussion went pretty well. In the afternoon, we had two dozers, but everyone got the point of the movie. 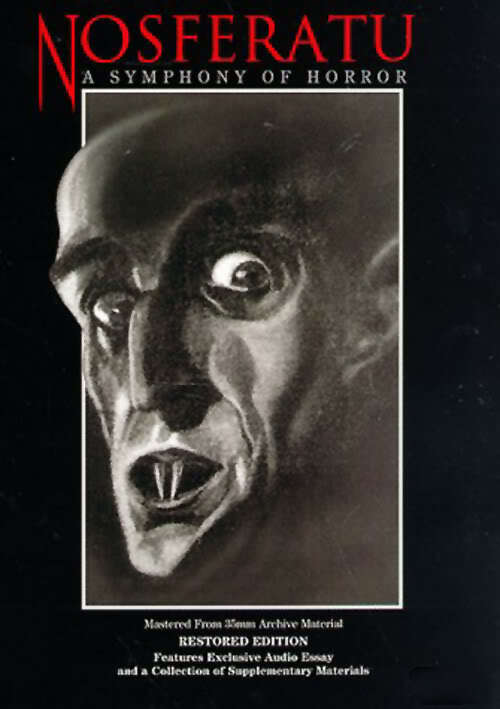 PS - If you have a netflix account, you can stream a version of Nosferatu to watch for yourself!